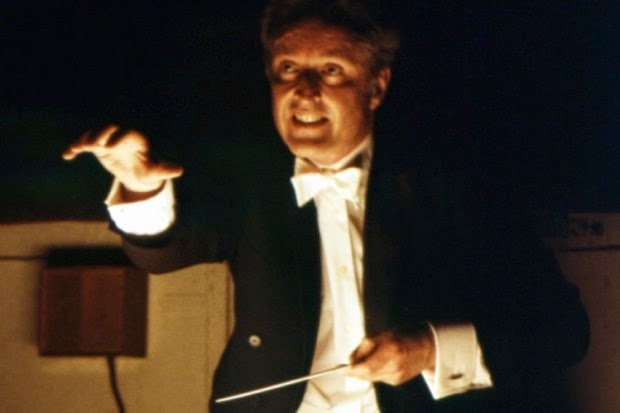 What made Carlos Kleiber a great conductor? In 2009 BBC Music Magazine asked 100 leading conductors to name the conductor they found most inspiring. Their choice wasn't Karajan, Bernstein or Toscanini; it was Austrian conductor Carlos Kleiber (1930-2004). Yet watching him in action, you begin to understand why so many musicians admire him. Kleiber never thought of performing a piece that he didn't know inside out, often using the meticulously marked scores prepared by his father, Erich Kleiber. In fact, he limited his repertory to a relative handful of works that he cared deeply about. And his rapport with the musicians was such that it often took only a smile or a raised eyebrow to get exactly what he had in mind. But there's more to it than that, as Eric Schutz shows us in this award-winning documentary. I've posted the first 15 minutes, with contributions from the conductor's sister Veronika; Placido Domingo; Brigette Fassbaender; Otto Schenk, who directed many of the opera productions Kleiber conducted; and Manfred Honeck, music director of the Pittsburgh Symphony Orchestra. Thanks for your kind words, John. Glad you liked it!